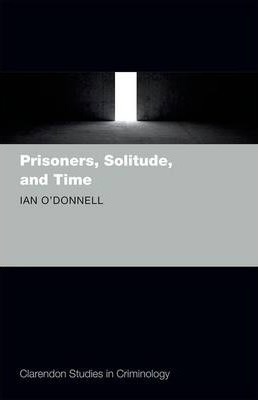 Examining two overlapping aspects of the prison experience that, despite their central importance, have not attracted the scholarly attention they deserve, this book assesses both the degree to which prisoners can withstand the rigours of solitude and how they experience the passing of time. In particular, it looks at how they deal with the potentially overwhelming prospect of a long, or even indefinite, period behind bars. neglected aspect of the prisoner's psychological world. posttraumatic growth, and the art of living. Ian O'Donnell is Professor of Criminology at University College Dublin and an Adjunct Fellow of Linacre College, Oxford. He is a Fellow of the Royal Historical Society, a Fellow of the British Psychological Society, and a Member of the Academia Europaea.